Want to know what your children, employees are doing on your computer system? Use Advance Keylogger to monitor external user activities including typed keystrokes, clipboard entries, voice chat conversations, accessed windows application, startup time and capture windows screenshot at regular interval of time. • Kid's activities: Parents can easily monitor children activities on computer and internet. • Employees working: Office manager can easily detect employee’s activities in working time on PC and prevent the leakage of confidential data. ◆ Easily monitors and records entire computer and internet activities while you are away. ◆ Records all details including typed keystrokes, clipboard content, accessed application, system startup time and capture windows screenshots. 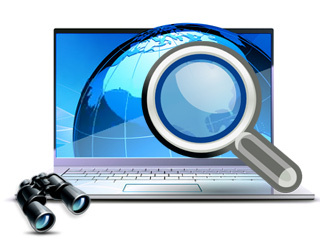 ◆ Traces internet activities including visited website, temp files and cookies with option to export all details in excel file formats. ◆ Saves all the details in encrypted log files and send to user specified email address or upload log file via FTP server settings. ◆ Advance keylogger runs in hidden mode. 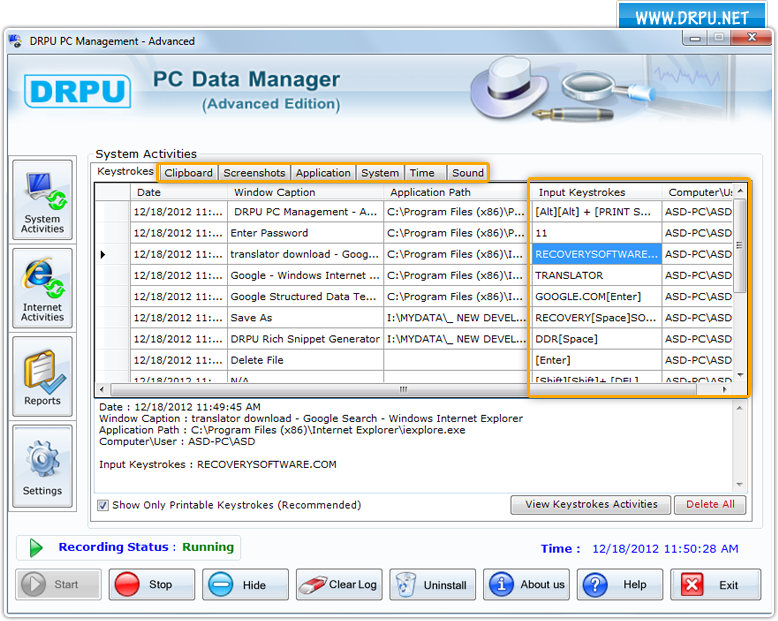 ◆ Undetectable in Start menu, Add/Remove program files, Task manager and even hide software installation files. ◆ Facilitate to set hot key or run command to access the application if it’s run in hidden mode. ◆ Provides password-protected facility to prevent unauthorized user to change or modify software configuration settings.